Having a termite infestation at hand can be a devastating blow to the structure of your home, your finances, and health. Minus protection against an infestation, not only are you putting yourself through mental havoc but also running the threat of your property's upheaval. Among the various pest control treatments that professional across Melbourne offer, are termite chemical barriers, termite monitoring systems, and other reliable pest treatments. These are set up in a way that helps you put up a shield and waive off an attack from these detrimental pests. 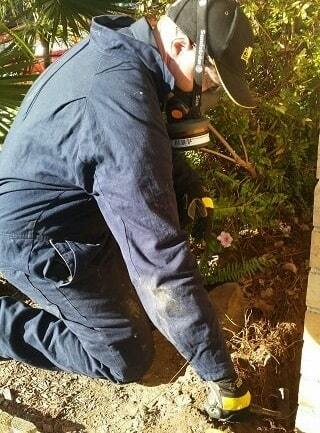 Termite monitoring is a process in which technicians set up monitoring stations in and around your property. These bait stations are set into the ground with a piece of timber and perfect climatic conditions to attract any active insects. They are built in an unobtrusive yet effective way that detects any activity. The technician visits once every 10-12 weeks to check on the termite monitors. If there is a colony living on your property or within the building, these pests are attracted to the bait and technicians are able to spot them and carry out the necessary treatments to exterminate the colony. Why is a termite monitor important and when should you use it for protection? It is nearly impossible to detect activity or the flourishing of a nest. Instead of discovering you have an infestation on hand only once it's too late why not get an idea of it earlier. Our technicians will advise you to set up these monitor stations along with conducting your regular termite inspection. This way even if the insects start developing a colony in the period in between, the matter will be taken care of well in advance. If you have had a history of termite activity, live in vicinity that is prone to attracting them or have neighbours who have recently dealt with this problem, we would advise you to use this treatment as a protective measure. How do termite-monitoring systems protect buildings from termite attacks? These systems have a unique design and structure that attract critters present in the area. Additionally, the design of the monitor station is such that allows easy visibility without disrupting or alarming them. When the technicians do discover termites feeding on the timber installed within the monitor stations, they then add chemical bait that is proven to be the preferred food. Known to be social, once the termites start feeding on the bait they carry it back to the nest for their queen to feed on and through this behaviour the entire colony feeds on the bait and dies. The bait is such that doesn't kill them on immediate consumption and hence they do not get suspicious but continue to feed on it and share it with the entire colony. Slowly but assuredly the entire colony is soon wiped off from having fed on the bait. On an average, the entire process can take 4-5 months but really depends on the property size, season, locality, and size of the infestation. Why you should use termite-monitoring systems instead of treating the soil with liquid termiticide alone. Liquid termiticide also known as a chemical barrier is a highly effective treatment used to prevent concealed entries from the foundations of the house or under the ground. Although it can repel or kill any new ones that might approach the property, it cannot cure the area of live termite activity that currently exists. Hence, as any reputed professional will guide you, to identify and exterminate a nest hidden within your property structure, the best, easy and most effective solution to turn to would be termite-monitoring systems. One of the greatest advantages of this procedure is that it does not disrupt your property or cause you any major loss of having to fix property components that might have been broken in the bargain. Like every other Protech pest control treatment, these monitoring systems and the baits they make use of are eco-friendly and have no harmful effects on children and pets. In case you have concerns regarding a specific health problem you can consult your doctors and our technicians on the same and they will be more than happy to assist you in the best way they can. 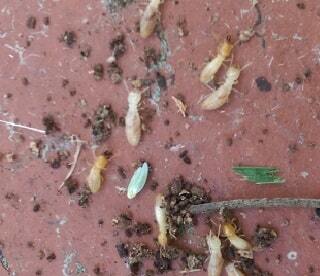 Termites are insects you don't want to put up a war against, single-handedly. Setting up termite monitor stations may be the one decision that saves you from a humongous expense or from having to move out of your premises. As you have read these monitor station systems are easy yet effective. What's keeping you from calling us? Speak to our professionals today and get same-day service.